We’d love your help. 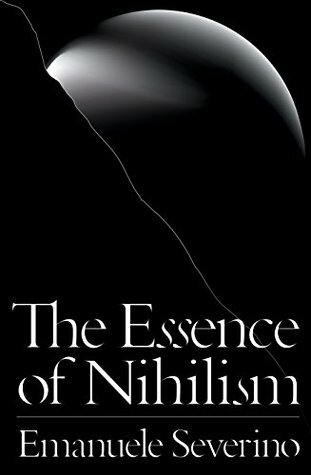 Let us know what’s wrong with this preview of The Essence of Nihilism by Emanuele Severino. To ask other readers questions about The Essence of Nihilism, please sign up. I'm not surprised Severino is seemingly/apparently disregarded in Armorica. I'd never heard of him, as far as I know, till I came upon this at the Strand the other day. Perfect timing, really, as I was having a hard time buckling down to what light reading material I'd bring to the beach in late August, but now that problem has been solved. The occasional flash of insight could not survive the tedious onslaught of nagging repetition, and there are not enough sources in English as of this moment I'm not surprised Severino is seemingly/apparently disregarded in Armorica. I'd never heard of him, as far as I know, till I came upon this at the Strand the other day. Perfect timing, really, as I was having a hard time buckling down to what light reading material I'd bring to the beach in late August, but now that problem has been solved.